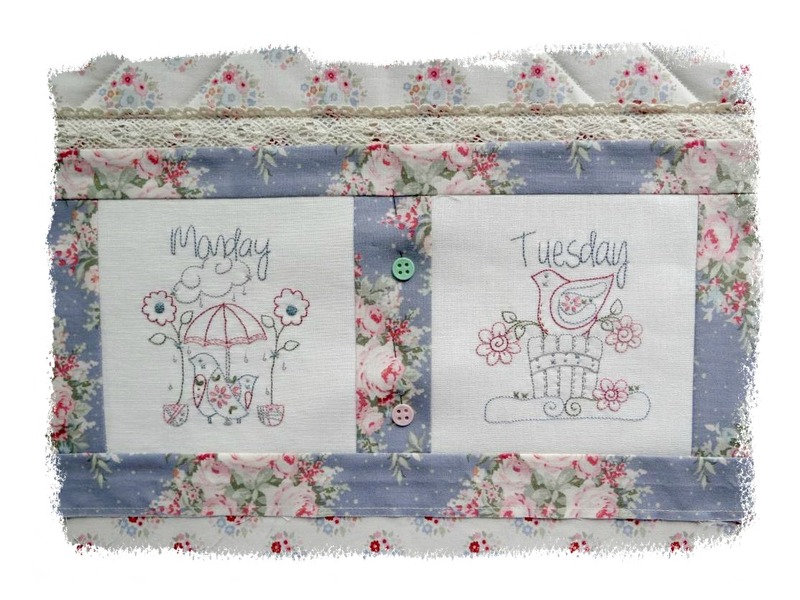 This sweet wall quilt is useful and versatile because it has nine pockets which can hold a varied assortment of items unique to your personal needs. 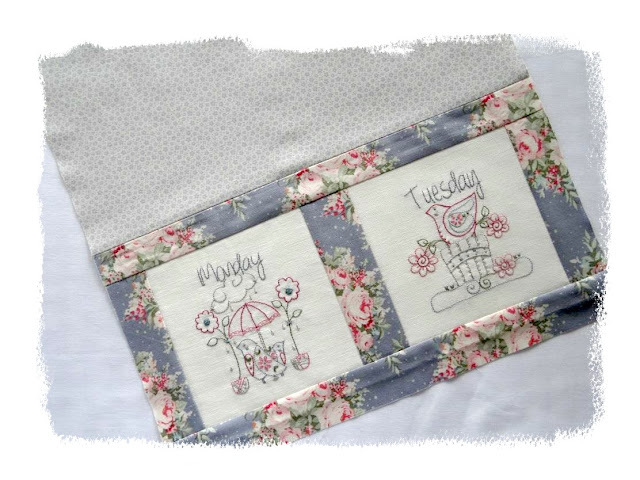 In your sewing room fill them with patterns, or tools such as rotary cutter, tracing pens, needlebooks, measuring tapes, unpickers, materials shopping list...whatever suits your purpose. 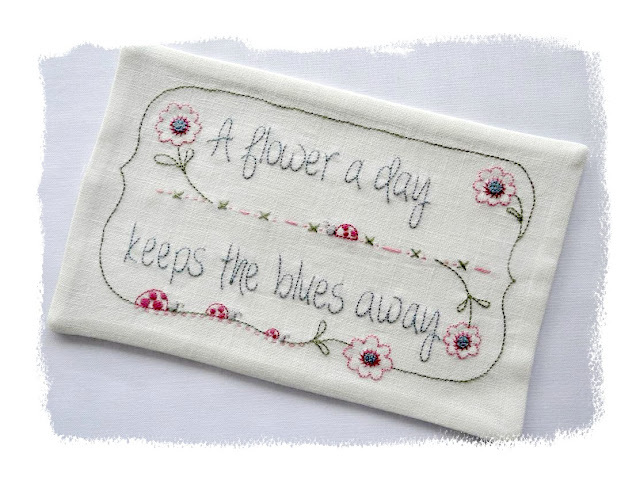 In the living room you could hide those ugly remote controls or fill a few pockets with dried flower displays. In a home office each day's pocket could hold your to-do list, mail to be posted, stamps, pens, USB stick...again, whatever is needful to you. In Australia we purchase fabric by the metre and this cut is 3 inches longer than a US yard. I've taken that into account when giving you the measurements. + one feature block trimmed to 8" x 5 1/2"
I have used the eight Days of the Week stitcheries in my pockets. The pattern set can be purchased HERE or HERE if you would like to use them, but you could also replace the blocks with 5 1/2" fabric squares or stitcheries you already have. 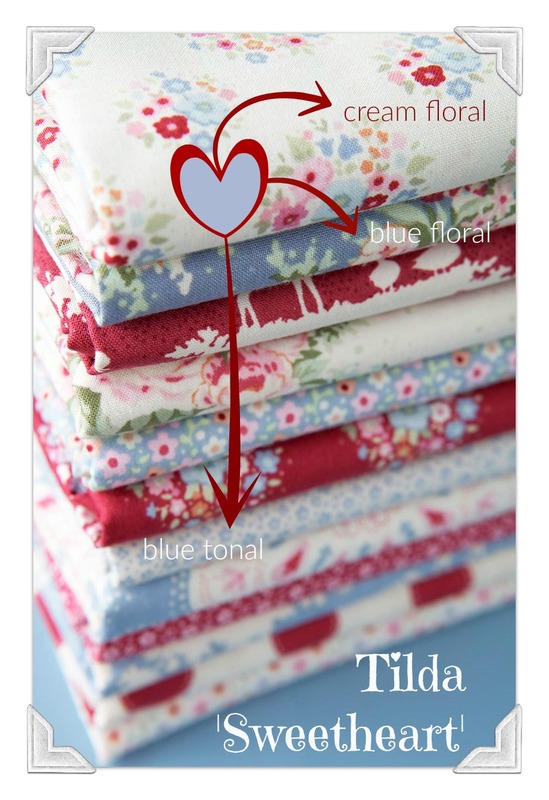 The fabrics I have used are from Tilda's "Sweetheart" line. To make the Monday/Tuesday pocket front sew the two blocks together with a 2" x 5 1/2" piece of blue floral, then sew a 1 1/2" x 5 1/2" length of the same fabric down both ends. Sew a 1 1/2" x 14" length of the blue floral across the top and bottom. Repeat these steps to make your Thursday/Friday and Saturday/Sunday pocket fronts. 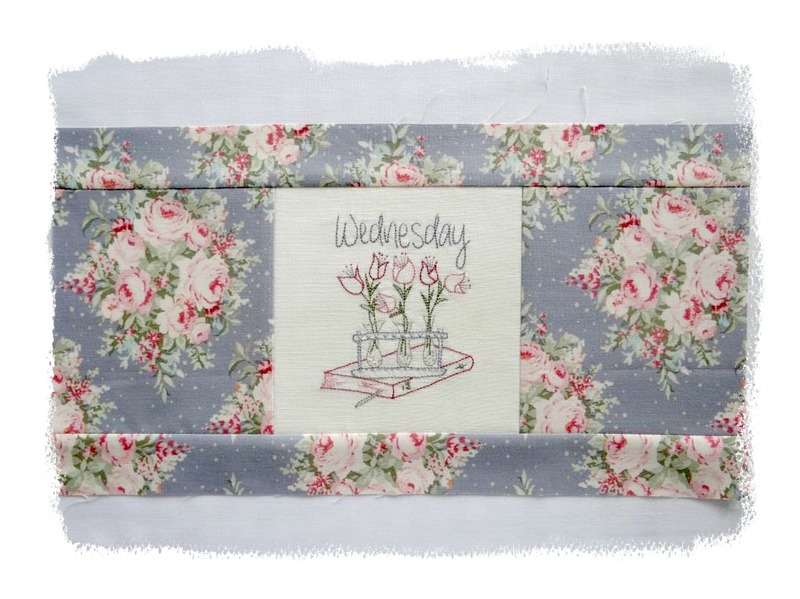 To make the front of the Wednesday pocket sew a 4 3/4" x 5 1/2" rectangle of blue floral down both sides of the stitchery, then sew a 1 1/2" x 14" length of the blue floral across the top and bottom. Lay your four pocket fronts face down onto the right side of your 7 1/2" x 14" rectangles of blue tonal fabric. 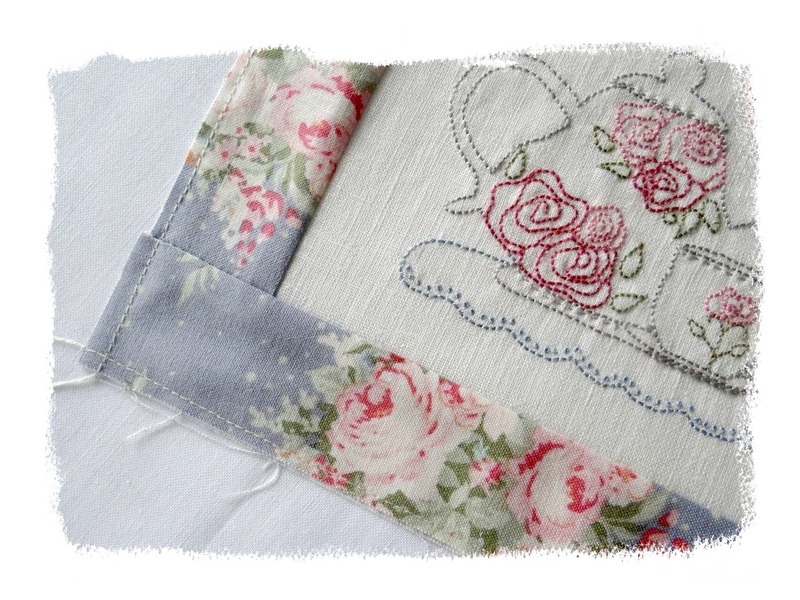 Sew the two rectangles together along the top edge above the stitchery and press the seam open. 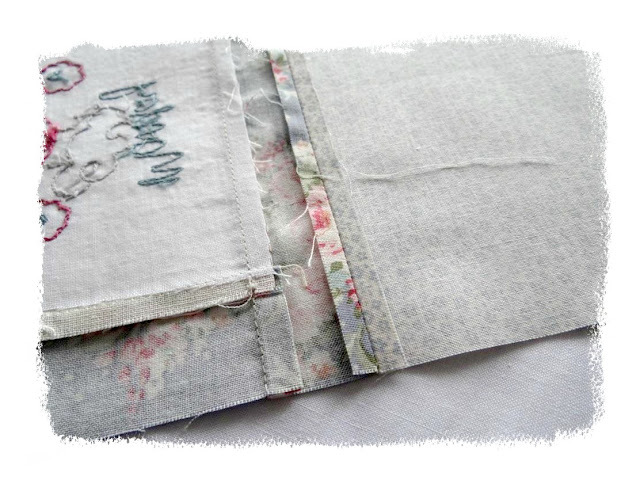 Fold the front and back closed along the seam and press your four pockets. Sew a scant 1/8th inch seam around the three open sides of the pockets. 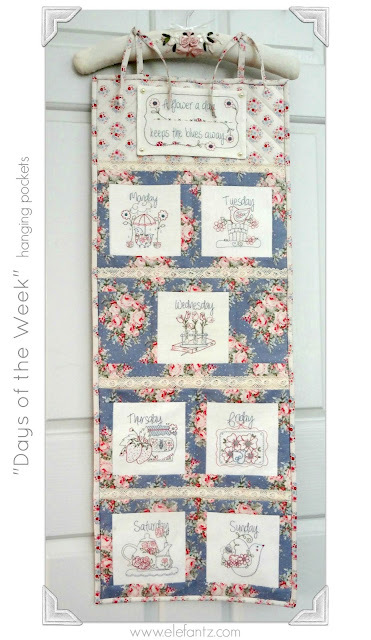 Lay the larger eighth block face down on your 5 1/2" x 8" rectangle of blue tonal fabric. Sew around all four sides but leave a 3" opening for turning out. Turn the block right side out, gently pushing the corners out as well. Press flat and slip stitch the opening closed. 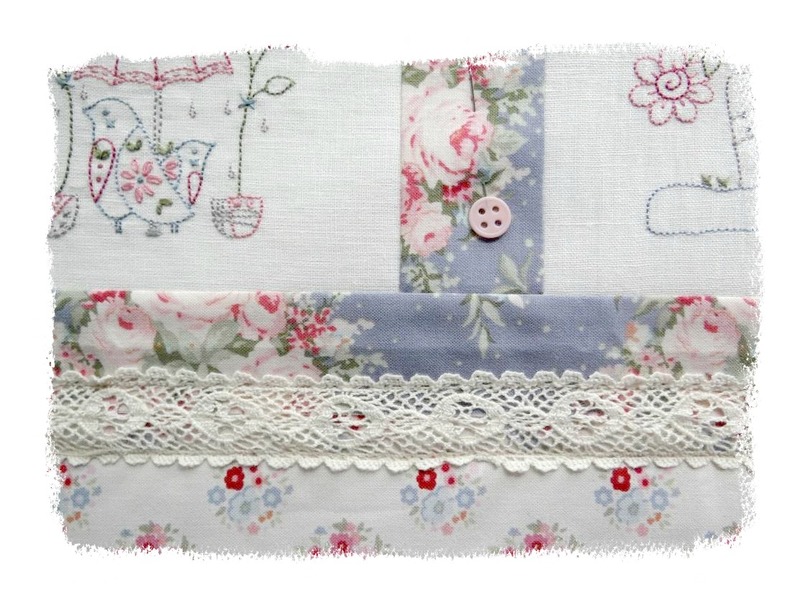 Fuse the two 15" x 38" rectangles of cream posy floral onto both sides of the Pellon. Use basting spray for the fabric on the non-fusible side of the Pellon, or pin baste it in place. Machine or hand quilt to your liking. 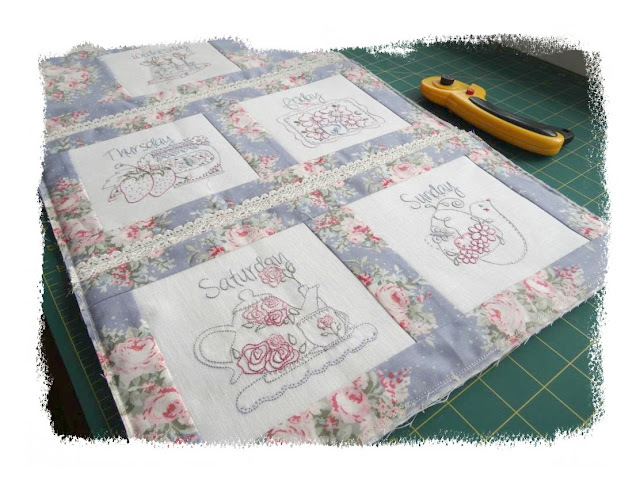 I used the design on the fabric as a guide to machine quilting the top section of my quilt. Trim the quilt to 14" x 37"
Measure 6" down from the top edge of the quilt front and sew a line of lace underneath. Pin your first pocket across the quilt so that it just covers the bottom of the lace. 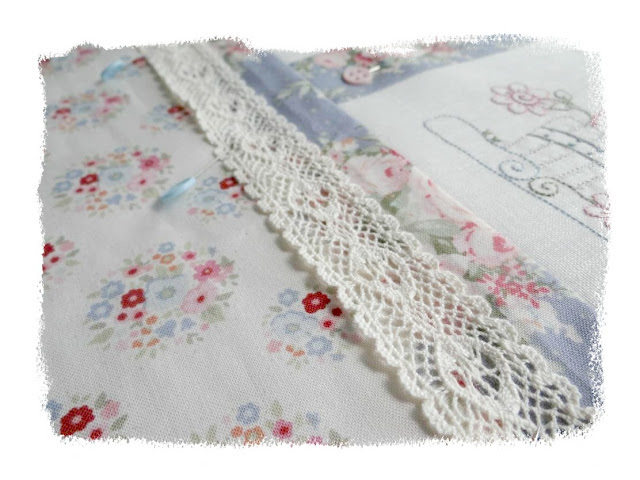 Cover the seam with a 14" length of cotton lace and sew the lace in place along both edges to hide the pocket seam. Now lay the Saturday/Sunday pocket along the very bottom edge of the quilt. 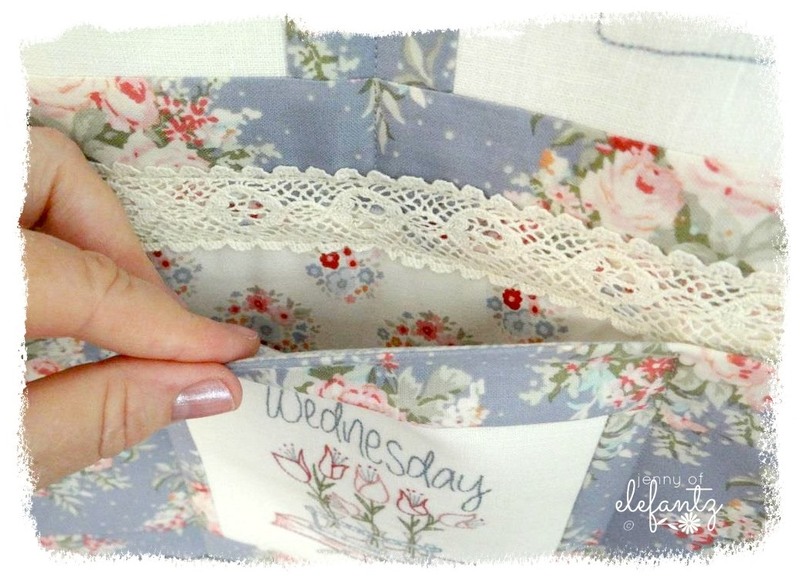 Lay the Thursday/Friday pocket and the Wednesday pocket above it. Play around with the positioning until they all sit evenly spaced. 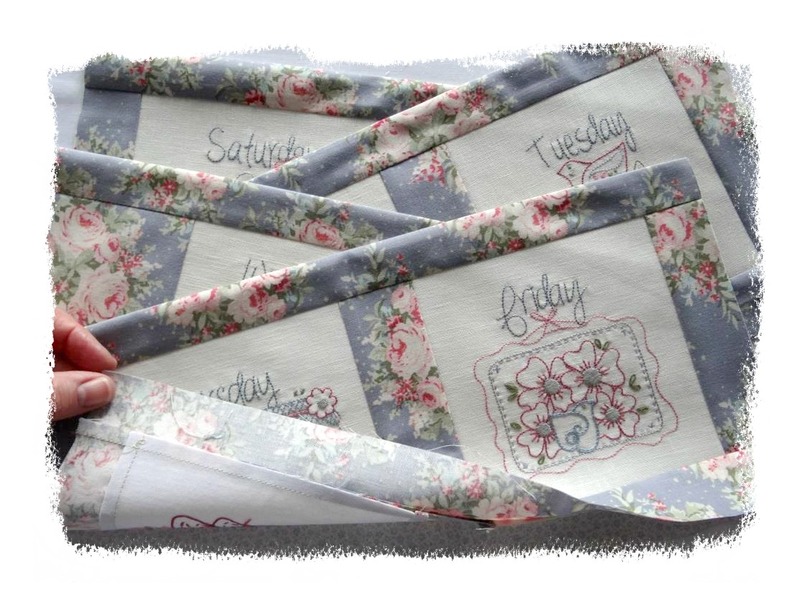 Sew the bottom edge of the pockets to the quilt with a scant 1/8th inch seam. Sew strips of lace across the bottom of the Wednesday and the Thursday/Friday pockets, as you did with the Monday/Tuesday pocket. 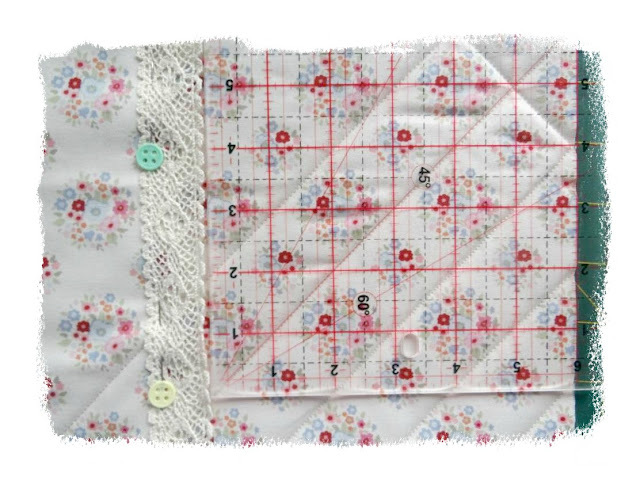 Sew a scant 1/8th inch seam down both sides of the quilt to secure the side edges of the pockets. 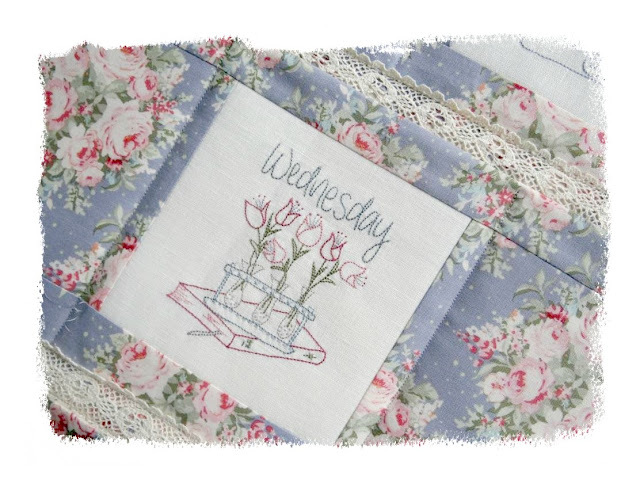 Create smaller pockets within the large pockets by sewing a seam down the middle of the double block pockets, and 1/2" either side of the Wednesday block. This will give you nine pockets. 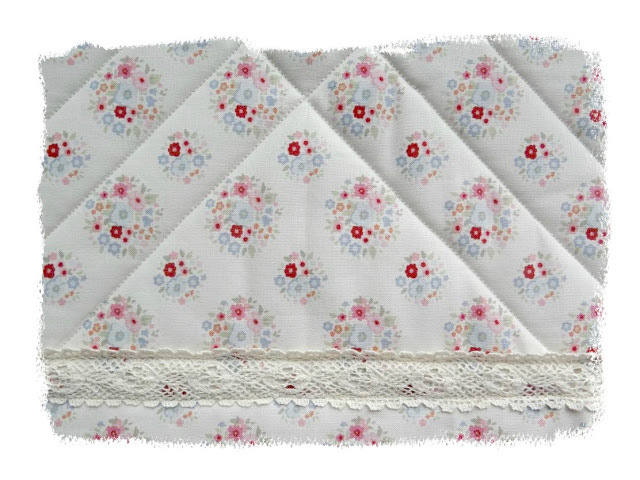 Make your quilt binding with the three 2 1/2" x WOF (width of fabric, usually 42" - 44") and sew in place as you'd normally do with a quilt. Haven't made quilt binding before? Follow my tutorial here. 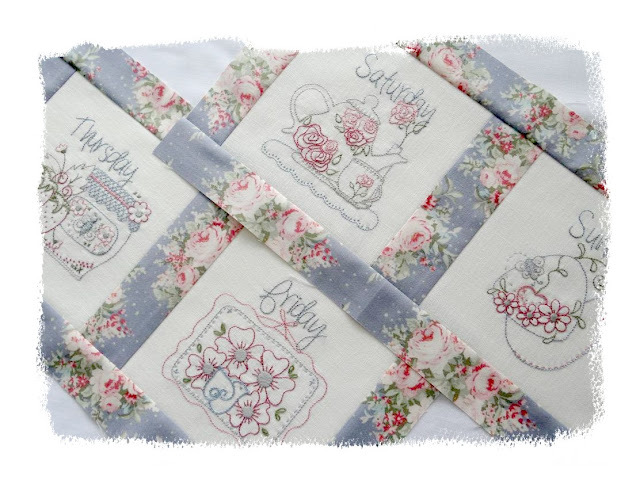 Sew your large feature block across the top centre of the quilt. 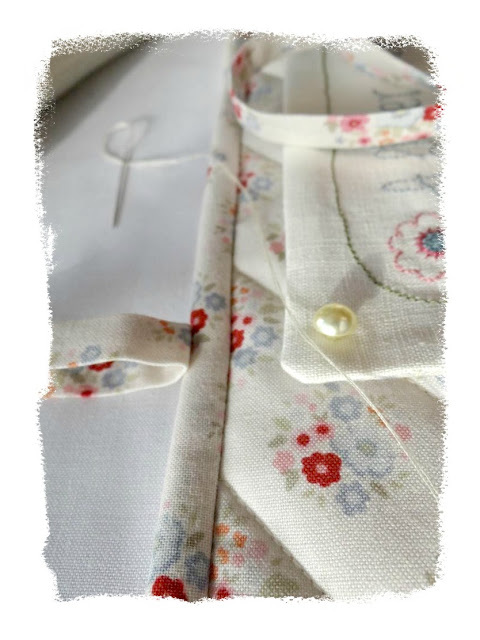 Make one long length of hanging tie from your 2" x WOF piece of cream floral fabric, by folding in half wrong sides together down the length of the fabric. 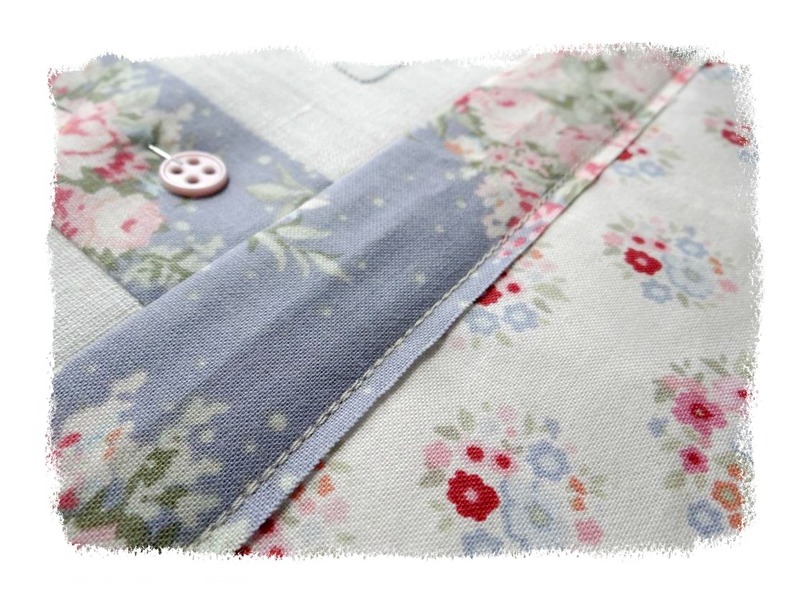 Sew down the raw edge with an 1/8th inch seam, and carefully turn the tie right side out and press. Cut the long tie in half to make two smaller ties. Make a small knot in each end of the ties. Decide where you'll position each tie. 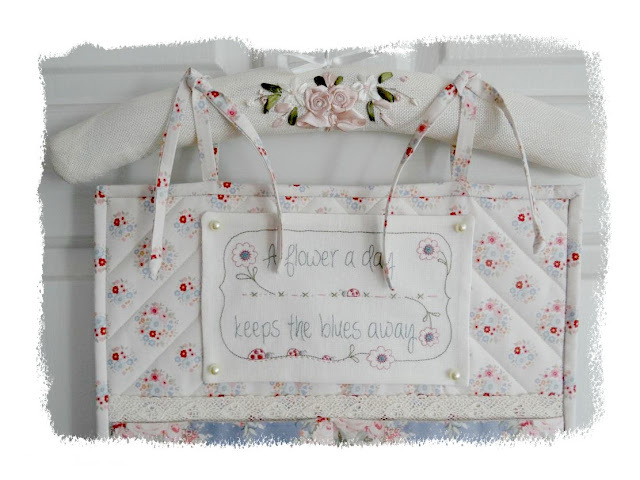 Choose a quilt hanger or pretty coat hanger and tie your set of hanging pockets in place! 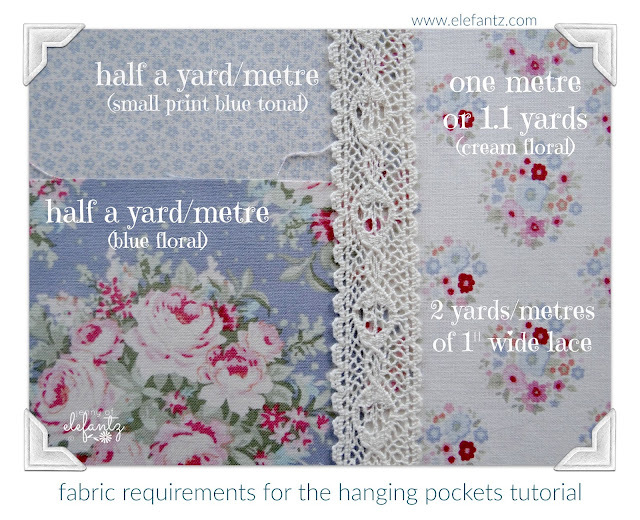 I hope you have enjoyed this tutorial and will have a lot of fun making your own unique set of hanging pockets! After such a big week I'm taking the rest of today off and treating myself to a good movie on our comfy blue couch, with a thick slice of fresh baked sultana loaf and a big mug of chai latte. Your work looks full of gentleness. It's just for a true lady home. Thank you for such detailed description! Good Morning Jenny! This tutorial is fabulous! My sewing friend and I are going to be creating this today. 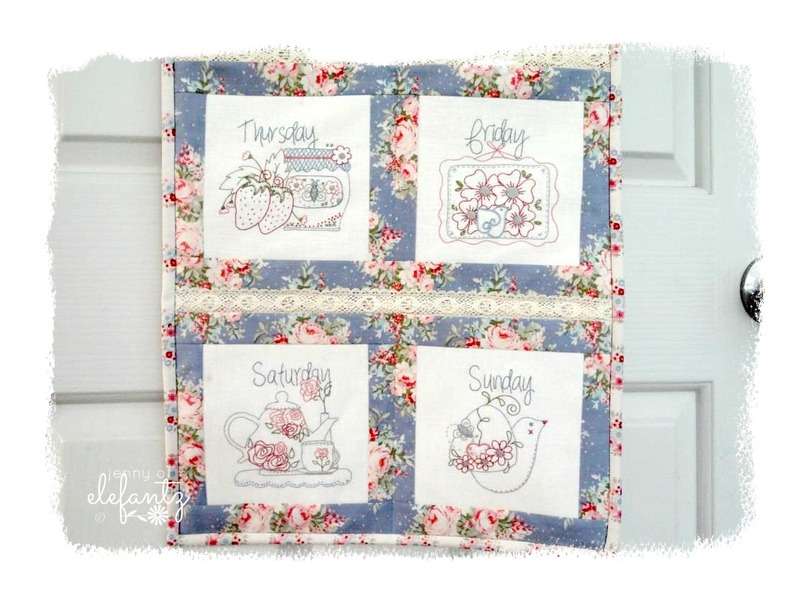 We get together at least 3 times a week and spend at least 6 hours together sewing/quilting! 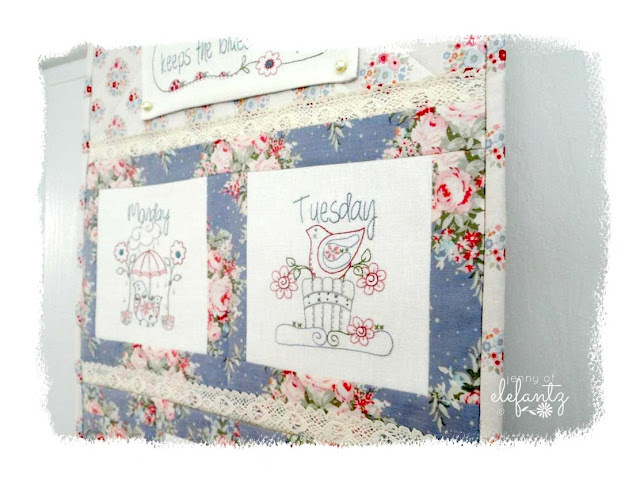 Projects that help with organization and storage are high on my list right now, my sewing/quilting supplies are scattered throughout the house. LOL. 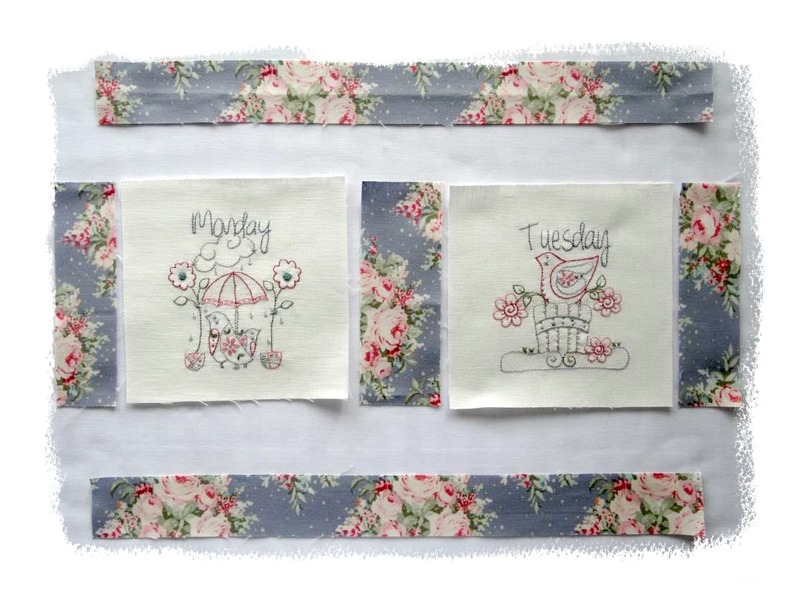 Thank you so much for sharing and have a fantastic creative day! Vielen, vielen DANK, dass du uns so schöne Dinge zeigst. Thanks, Jenny! You always make these things look so easy. Your many pictures really help me understand what to do. I appreciate you and your talents, and your generosity. This is so stunning, thank you! 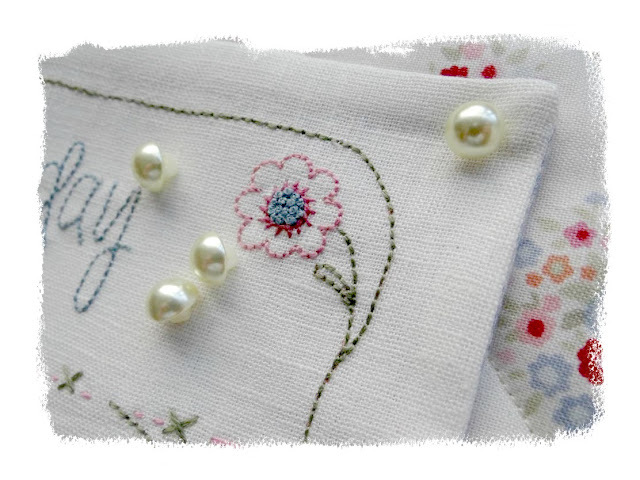 After a break from embroidery for many years I am back to it! Im quite excited! Muchas gracias por tu tiempo, y por enseñarnos como hacer tu trabajo, quiero intentar hacerlo, pero no tengo tus manos, tendré paciencia. Thank you very much. Is a job really useful and beautiful. And it is a great tutorial. Thank you for your generosity. God Bless You. Hugs. Thank you very much, Jenny! 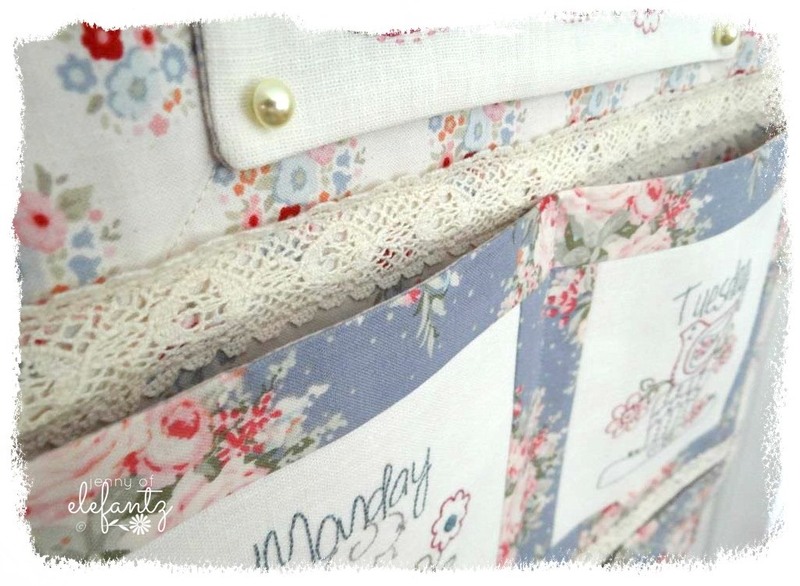 I love this project and your tips are so precious! Hi Jenny, thanks for this tutorial. I have just one question. Where it says, "Fold the front and back closed along the seam and press your four pockets." does that refer to the seam you pressed open or the seam that is pressed toward the top strip of the front of the pocket? I can't tell from the pictures or description.